Since time immemorial man has always appreciated art. From the cave paintings in Spain, to today’s local graffiti, each man has a need to express themselves and considers that to be an art. They rebel against any oppression, actual or perceived, great or small, that is meant to prevent them from expressing themselves and this freedom to express themselves has been arm-in-arm with art ever since. But nothing last forever, no matter how good a master’s craft could be or what material they use all of art will succumb to the tyrannical authority of time. Whether time uses war, tragedy, or calamity time will wear, tear and eventually erase all art. 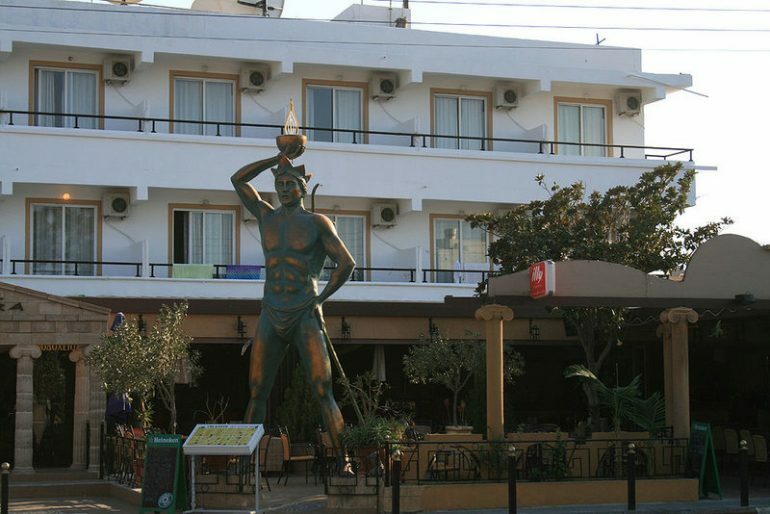 One such example of great art that is lost forever is the Colossus of Rhodes. 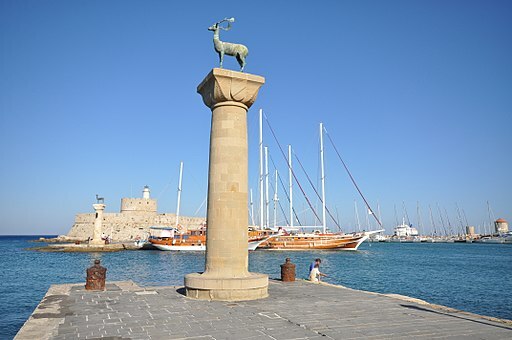 Built on the Island of Rhodes around 292 – 280 BC, the gigantic statue was at 30m without the pedestal it stands on. The story goes that at the time, the Island of Rhodes was an economic center located on the SW of Asia Minor. The capital, Rhodes, was built in 408 BC as harbor, an important stop in the trade routes between the Aegean and the Mediterranean seas. In 357 BC the island was ruled by one Mausolus of Halicarnassus, but later fell into the hands of the Persians and then finally to Alexander the Great, in 332 BC. When Alexander died his generals went on to divide the empire between them. The Rhodians supported one of the generals, Ptolemy. Antigous, another general, didn’t like the Rhodians decision and decided to send his son Demetrius to attack the city. So Demetrius brought 40,000 men and hired some pirates along the way but the city was guarded by a tall wall and he was forced to build siege towers to attack it. He even tried to put a gigantic one on a ship but that ended disastrously for him when a storm came and wrecked it up. He built another big one but this time it goes on by land. Obviously he got foiled again, this time because of mud. He had to finally retreat when Ptolemy’s reinforcements arrived. Demetrius and the Rhodians finally had a talk and they agreed that the Rhodians won’t support Ptolemy when Antigous finally goes to war against him. In return Demetrius stops trying to take over the city. It was a deal and both parties agreed on it. Logically, this would mean Demetrius succeeded. No support for Ptolemy means less firepower. But the Rhodians see it in a different light and consider it their win. So they decided to erect a statue of their patron god, Helios, to celebrate the end of the war. And so they erected the statue on a pedestal facing the sea with the help of one Chares of Lindos who fought in the war and is a sculptor by profession. He was the student of Lysippus, the one who constructed the 60ft statue of Zeus. He, however, didn’t live to see his ambitious project be finished. Some say that he killed himself due to bankruptcy, some say that he discovered some flaw on his plan and was so ashamed he killed himself. Both accounts agree that he committed suicide but there’s no evidence or other testimony to back up either stories. And so the statue stood on Rhodes as proudly as the Statue of Liberty stands on Liberty Island today, for at least 56 years. But the statue isn’t earthquake-proof and one in 226 BC brought it all tumbling down. The Egyptian King Ptolemy III offered to help with the construction. But they turned him down and the people just left the pieces of the statue where they fell, which somehow still able to draws tourists visits. When the Arabs came and conquered Rhodes in 654, the pieces were finally melted and sold off in Syria. It must have been a great Wonder for it to be able to still draw visits even when its literally scrap metal. So great that people have talked about rebuilding it in modern times. I’d personally would like to see it, but given Greece’s economy right now a project as ambitious as rebuilding it would never be able to kick off.